Supplies: White Cardstock by Canson, Boys Only 6×6 paper pad by Doodlebug Design, Robots stamp set by Recollections, Mini alphas stickers – Acorn Avenue Collection by Crate Paper, ribbon, golden stars sequins, glossy accents by Ranger, foam squares. 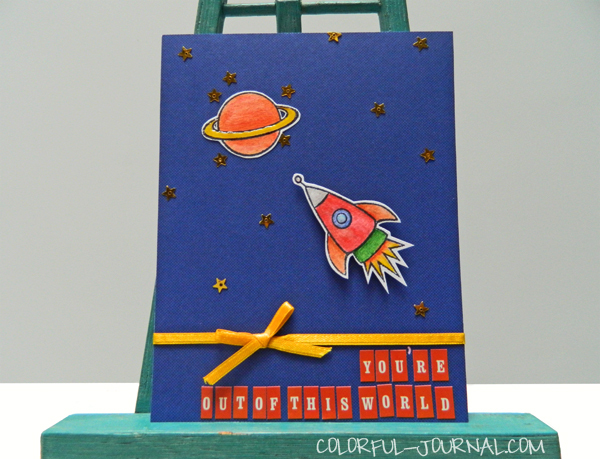 The 10 minute Craft Dash Challenge always give me that push to make several cards I showed you two cards that I made using stars you can see them here and here. 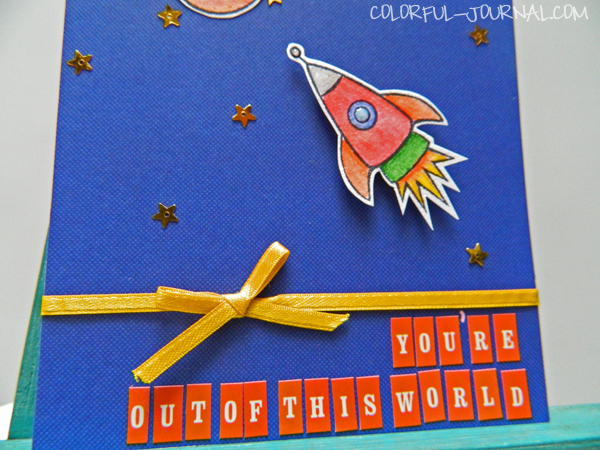 I wanted to use in this card the lovely golden stars sequins I have they were perfect with this challenge, so I thought in making a space card with stars. 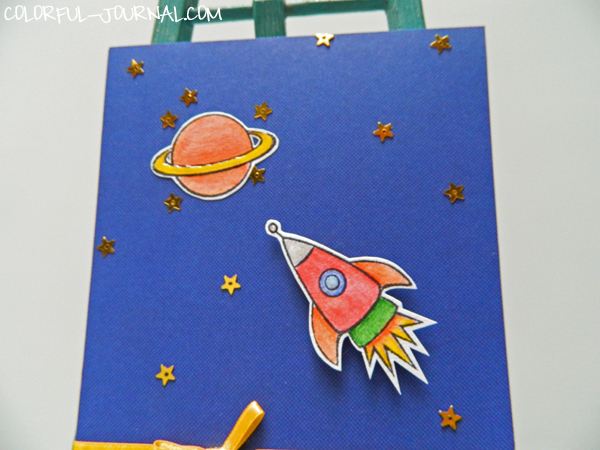 I stamped the rocketship and the planet and began to paint them with watercolors then I adhere the blue cardstock to the base of the card that is made of white cardstock and realized I was so late and my time was like 9 minutes so I realized that was not going to finish the card within 10 minutes. But hey sometimes that happen lol when you have an idea in your head and think it will be easy and fast and in the reality isn’t. So I finished the card gluing the sequins, stamped images, ribbon and the alpha stickers. I was very pleased with the card although I didn’t made it in 10 minutes. 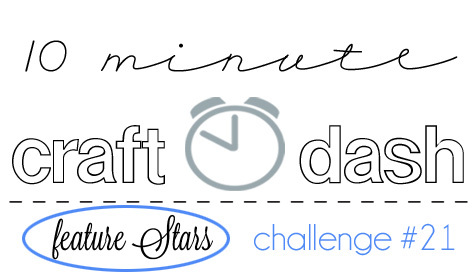 If you want to play and make a card in 10 minutes you still have time the deadline is in 4 days, go here and check all the ideas and fabulous cards other crafters have shared. Just sticking the little stars would take forever, so I’am not surprised you went over 10mns! 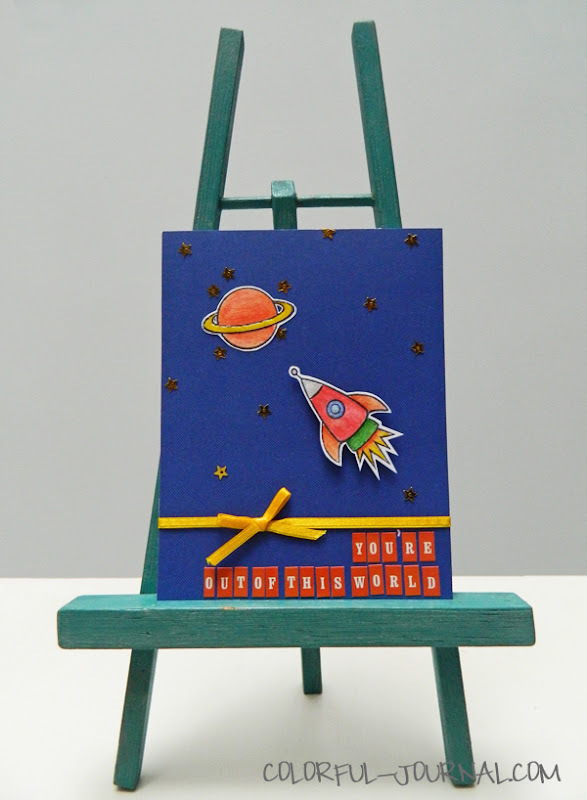 But the finished card looks all the better for taking the time…. Thanks! Yes sometimes the idea in your head is not a 10 minute card and you realized that in the process. Wow – you managed to stick all those letter stickers down??!! That’s amazing, love the end result! Thanks so much for joining in the with the 10 Minute Craft Dash!! Well, it’s good to know that other DT members also struggle with making the 10 minute deadline! LOL!